Full Time Care can appear frightening to people, at The Croft we aim to take the fear away by providing high quality caring staff who understand your needs. Why not just come in for a few days now and again for a short break and see whether you like it or not? It is an opportunity for your carers and family members to have a short break too! Day Care is another service that the home offers. An opportunity to come in for the day or just a few hours to enjoy the company of other like minded people, to take a bath or to just relax in comfortable and safe surroundings. Activities are provided to suit you and your wishes at different times of the day. Family and friends are welcome to visit at any time. Croftlands is our newest care home (opened March 2010) and is a stunning stone building which will be home to fifty five residents with residential, nursing and dementia related needs. 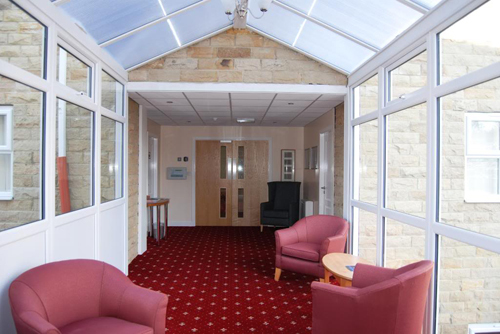 Croftlands is an attractively designed care home situated on Turnshaw Road, on the edge of the village of Kirkburton, near Huddersfield, which offers the highest quality accommodation, which is matched by high quality nursing and residential care from a dedicated and well trained staff team. IAn extensive menu of the highest quality food is offered to our residents. Choice is available at every meal. In addition to the main kitchen, each floor of the home has its own dedicated kitchen area with drinks and light snacks available all day and night if required. 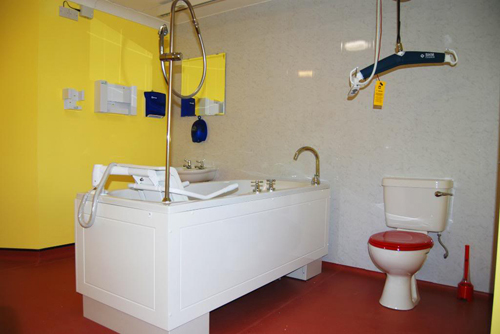 All bedrooms are single rooms with en-suite shower facilities. Each room has beautiful fitted furniture with an integrated fridge and a television/dvd with Freeview as standard. Sky Television can be available if required by the resident. Each bedroom has its own telephone and residents can make and receive outside calls from the privacy of their own room. 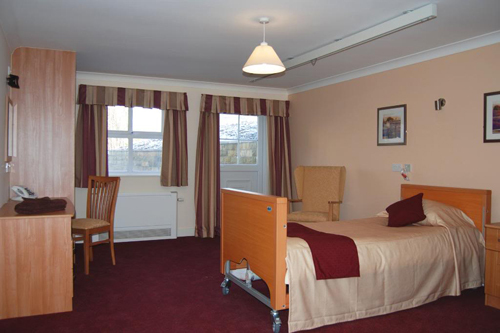 Each nursing bedroom has a ceiling hoist for safe and easy moving of residents and also has a profiling nursing bed as standard as well as all the above facilities. Please use the postcode HD8 0TH in your Satellite Navigation equipment.